We shared our love of overnight oats earlier this year. 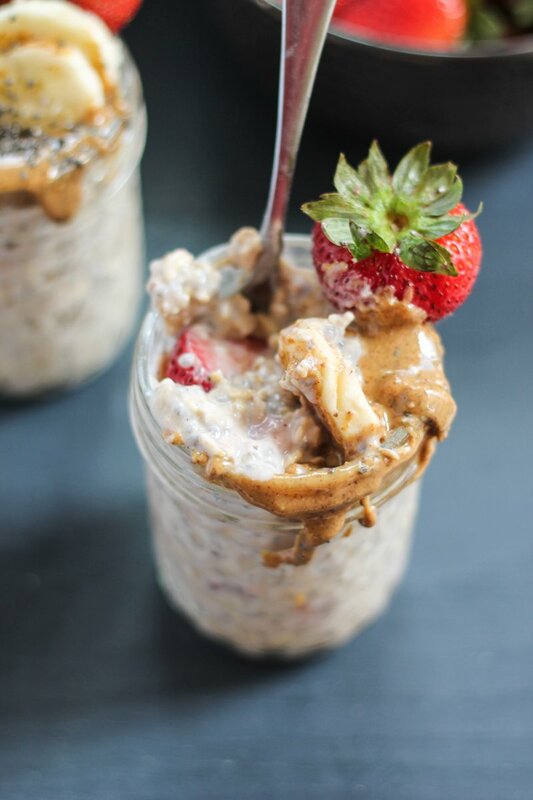 This recipe for Almond Butter Strawberry Overnight Oats from Ambitious Kitchen will be next on our list to try. Can we talk about how amazingly good these grilled honey sriracha chicken kebabs look? And since this weekend is the official start to grilling season, the timing is perfect. Head over to Two of a Kind for the recipe. Some days you have to throw healthy out the window and go for tasty. This cheddar bacon ranch dip from Chef in Training will happen on one of those days. Sounds perfect for tailgating later this year. Since we're trying to eat at home more this summer to keep the dollars in the wallet, I've been keeping my eye open for simple and filling meal ideas. 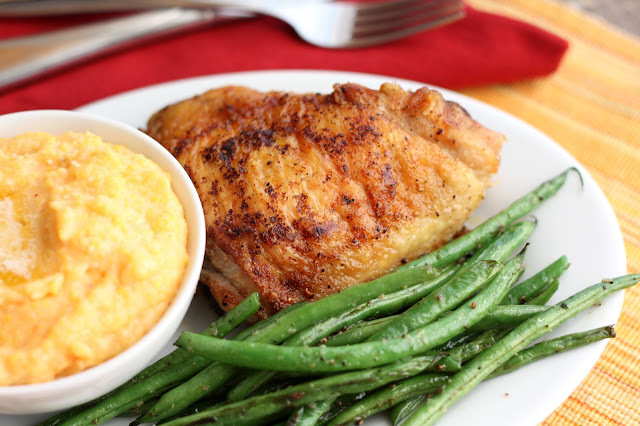 These pan-fried chicken thighs, shared at Barefeet in the Kitchen, look easy and would pair well with just about any veggie. With Memorial Day tomorrow, a watermelon recipe just seemed fitting, and grilled watermelon, shared by Fit Bottomed Eats, has us intrigued. Seems simple to prepare...looking forward to seeing how it tastes. I'm linking up with High-Heeled Love and My So-Called Chaos for the Weekly Round-Up; click the button to join the party.